It can be easy to classify music as a binary between ‘experimental’ and ‘accessible.’ The natural assumption is that experimentation requires a departure from widespread appeal. Shugo Tokumaru, who was featured on Monster Bunker #12, seems to see this as a personal challenge. Tokumaru’s sixth album, TOSS, carefully balances completely unhinged strangeness with fun and loose composition that provides an easy entry point for just about anyone. The album acts like a high-speed merry-go-round, always threatening to throw the listener off while providing firm support to make sure that never happens. TOSS is the definition of unafraid: unafraid to be dense and discordant, unafraid to be sparse and gentle, and unafraid to wander between the two. Tokumaru delivers energy like you’ve never seen before, throwing in just about every sound you can imagine. I couldn’t begin to count how many instruments are in use throughout​ “Lita-Ruta,” and I don’t think it’s wise to try. Horn sections, rock instruments, folk instruments, and toys are fair game; and each and every one is used to brilliant effect. The song’s driving bass line slips and slides like the bassist is struggling to keep his balance, but never once does it clash with the dense arrangement surrounding it. Wilder still is the closing track “Bricolage Music,” which builds off of a collage of split second sound effects and samples to form a shockingly inviting sound. Perhaps the strangest part of the entire affair is how gentle and melodic Tokumaru’s vocals remain throughout the entire album. It doesn’t matter that it sounds as though the horn section has just fallen down the stairs in “Taxi,” Tokumaru keeps singing with a soothing sweetness in his voice. It seems like the kind of thing that would clash with the atmosphere of these songs, but never once does it feel out of place. The clean and gentle vocals feel even more appropriate on the album’s lighter tracks, of which there are several. “Route” is a surprisingly straightforward piano ballad, albeit a very good one. 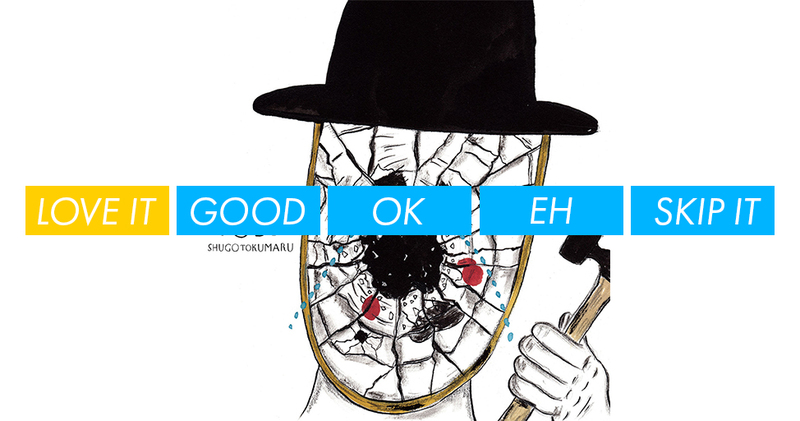 Consisting almost entirely of piano and Tokumaru’s voice, it would be easy to assume the track wouldn’t stand out well against the intense tracks around it; but even this simple arrangement is handled masterfully. In fact, that same simplicity helps it shine as a unique moment for the album. “Dody” and “Migiri” become simpler still, consisting largely of acoustic guitar lines, with the former being instrumental and the latter containing some of the gentlest vocals on the entire album. Both songs manage a balance between highly technical musicianship and gentle atmosphere, allowing the listener a choice between listening intently to every detail, or relaxing completely and going along with whatever happens. It’s hard to find music this effortlessly gorgeous. It wouldn’t be hard to keep gushing praise for this album for another few paragraphs, but that might actually ruin the fun. There are so many weird and wonderful surprises throughout this album that it’s probably best to just give it a listen and discover them all yourself. If you’re looking for fun and whimsical new music that will challenge your ears without giving you a headache, you absolutely cannot go wrong with TOSS. LOVE IT.